Atticus is most certainly a love story, but not in the usual sense of the term. It’s a unique tale that illustrates the power of unconditional love and the fact that the only way that a person can have/find/hold onto love is if she loves herself first, understanding her true worth based on who she is to herself and not necessarily as other people see her, and while that may take time and it may cause heartache and pain, it’s essential to living a full and happy life…it’s essential in order to revel in the ordinariness of life and understand one’s true place…one’s true path regardless of any road blocks or bad experiences that may have to be dealt with in order to get there. 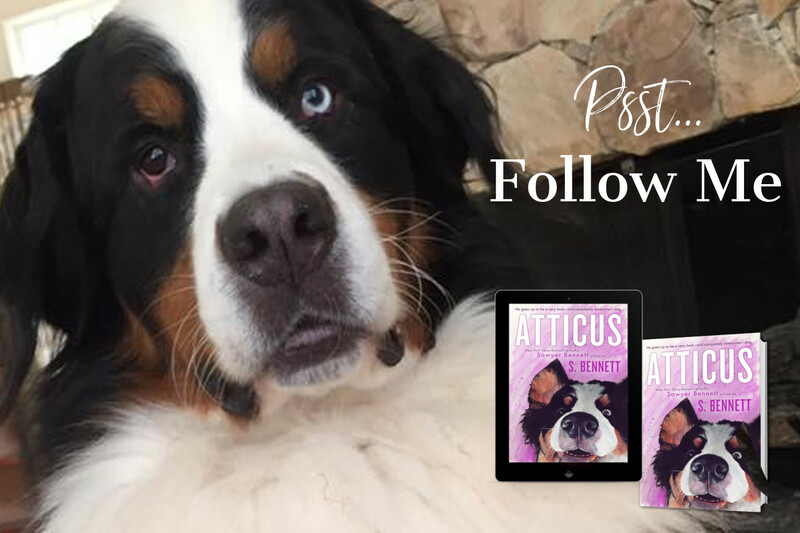 The two main characters of Atticus are Hazel Roundtree and Atticus, her dog who almost wasn’t her dog because she contemplated not helping the pup when she found him. But in deciding to stop and help Atticus even though no one ever stopped to help her, she finds out the true meaning of unconditional love and while Atticus isn’t the most behaved dog in the world, he’s hers and he teaches her, not only how to take care of him and seek out help when she can’t do it alone, but he also shows her how to love herself…how to care for herself when it seems like no-one else will or can. Atticus gives Hazel hope; he gives her a caring companion; he gives her a best friend who understands more than she’ll ever know. Atticus gives her a purpose…a second chance. He helps her find herself and in doing so, he allows her to be ready when someone comes into her life that’s worthy of her mind, her heart, and her soul. Relationships are a necessity in life and just when Hazel thinks she has no-one and nothing, she finds the one animal she never knew she needed, Atticus, and through him, Hazel finds a whole cast of characters who become as essential to her as Atticus, and it’s with their help…their guidance that this dog and his owner learn to traverse through this thing called life and find a way to do more than just survive…more than just exist and that opens up a world of possibilities for them both. S. Bennett does a fantastic job of creating both a light-hearted and an emotional feel to this story, which is fitting considering that that’s how life works…there are highs and lows and ups and downs throughout the course of one’s existence and it’s in those moments, both the good and the bad, that people learn who they really are and what they’re really capable of, and boy are Hazel and Atticus worth more than they think!